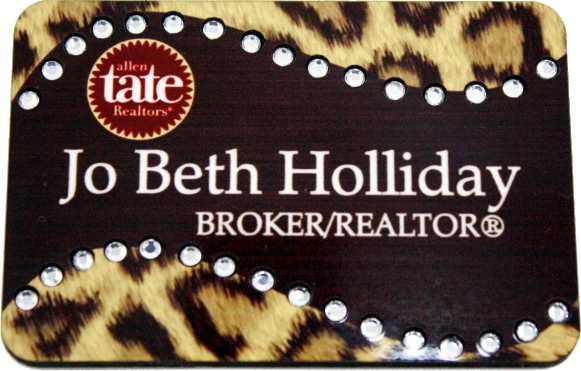 2X3" Allen Tate Brown Leopard Print with clear rhinestones. Magnet Back. Your company name or your name and title are entered below. If you have a custom logo for your company you can upload the file right below. Click add to cart to place order.